The Face Case is a simple silk pillowcase and it is one of the most logical anti-ageing beauty products I have come across. Replace your regular case with this 100% silk pillow case which allows you to slide across the pillow friction-free. Why is this important? Because the friction creates creases in your face which eventually leads to wrinkles. I especially love this as they are sending you adorable Mother’s Day card with the Face Case and you receive a Free ‘Leonardo DryCaprio’ Shower Cap. I have actually already bought this for myself, available exclusively from http://www.gotoskincare.com. I guarantee Mum will be so appreciative if you give this to her in bed & let her sleep in with her new pillow case! This is a luxurious polish that will last, is classy, timeless, and will make a woman of any age feel beautiful. For $41 you can pop that beautiful little Chanel bag by her bedside and you’re done – they will even make the gift look extra special for Mother’s Day with some pink ribbon 🎀. You can add the top coat for a perfect finish, but honestly, this nail polish is so good you don’t even need it! By the gorgeously talented Mia Freedman. “Whenever women are honest about their struggles, they give other women a gift. Mia delivers.” Elizabeth Gilbert. By Catherine de Saint Phalle. This is her memoir, now a French writer living in Australia. By Bridget Foley & Tom Ford. It sells itself as beautiful coffee table book from a true fashion icon. A book by NY Times columnist, Karen Homer which I found browsing in DJs. Grab the book from Booktopia and you could WIN a prize pack, worth $1000. 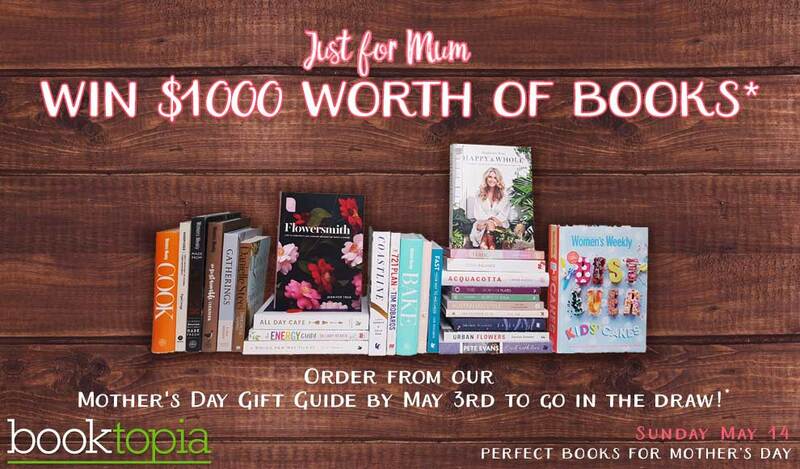 To enter, order from Booktopia’s Mother’s Day Gift Guide by May 3rd. Woolworths are selling these gorgeous little ‘designer’ cactus pots. They may be from a supermarket but the plants sold their last ages! Plus the stylish pastel pots they come in are a gorgeous affordable and thoughtful gift. Who does not love a little plant to care for? Like succulents, cacti are super easy to care for and will always be there to brighten her day. On this genius sit, you can purchase a beautiful experience to be enjoyed by Mum alone or with the whole family. Think high tea, an at-home massage or a big day out. There is something there for anything from $50-$500. Discover more at www.redballoon.com.au. Make her a card… she made you, it’s the least you can do! I get personalised prints from Snapfish, you can order them online or pick them up at Kmart to have them ready in minutes! Use promo code STORE60 to get 60% off online before 4.5.17. Want more inspiration? Here are some cute card and gift Ideas stuck up on Pinterest.